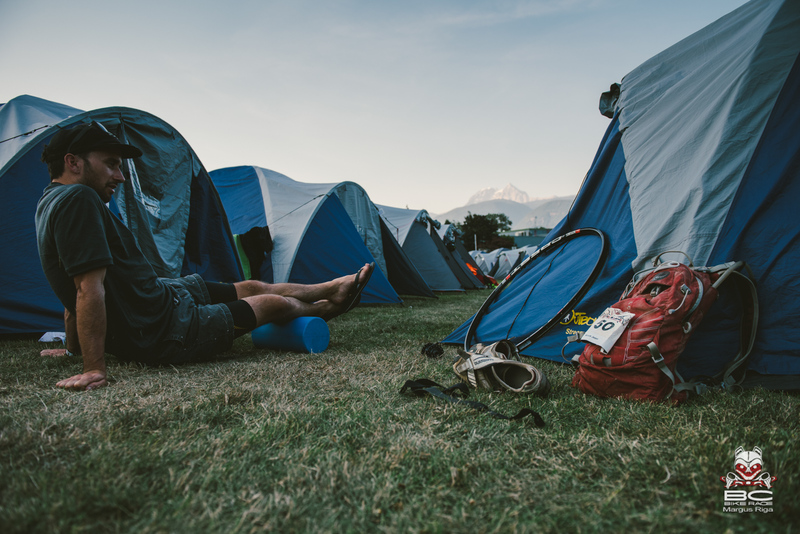 With every passing day, it's tougher for racers to emerge from their tents, but with Squamish in the forecast–a favorite for the past five years–we definitely sensed a bounce in their step as they made their way through the morning preparations. At the 9 a.m. start time, already the temperature was beginning to rise towards its 34-degree high. 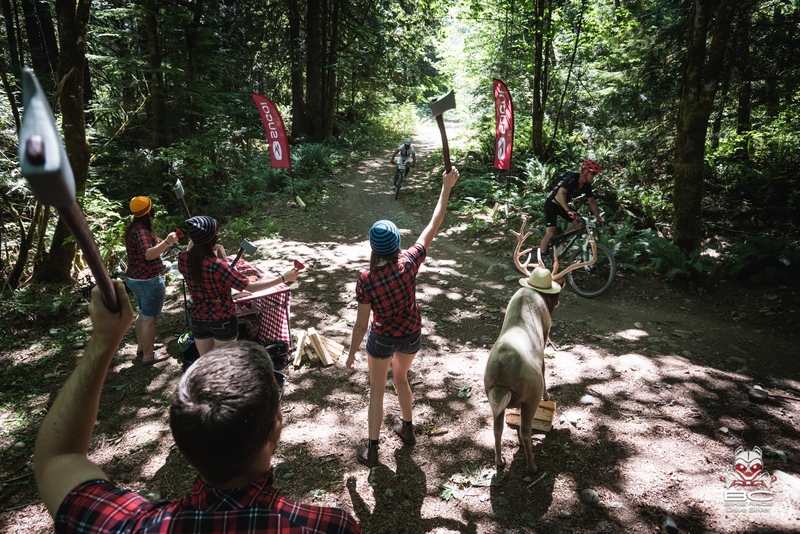 Luckily, most of the course was shaded by the gorgeous woods of Squamish, with only a few [steep] fireroad climbs seeing the harshest of the exposure. 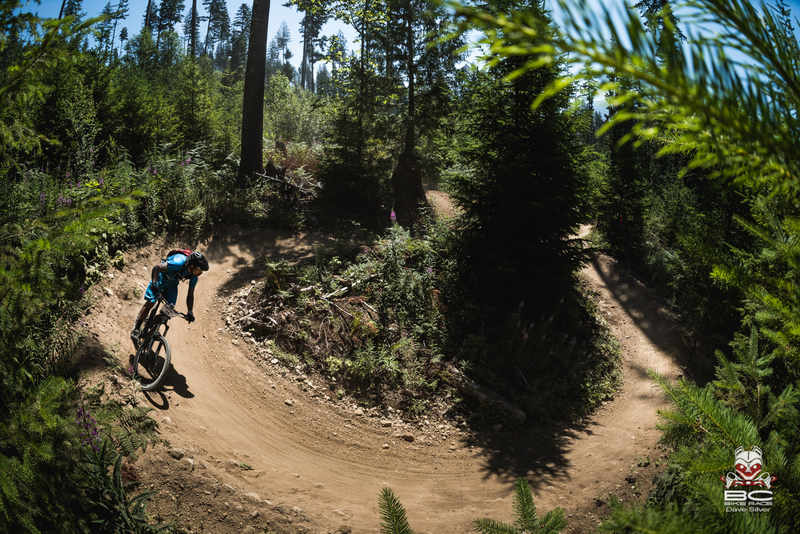 Singletracks included the perfectly shaped flow trail "Half Nelson," as well as burly traditional tracks like "Powerhouse Plunge." Today's feature trail was "Pseudo-Tsuga" that seemed to combine both schools of thought: huge sweeping berms dropping into technical drops and root sections, then back to the berms. 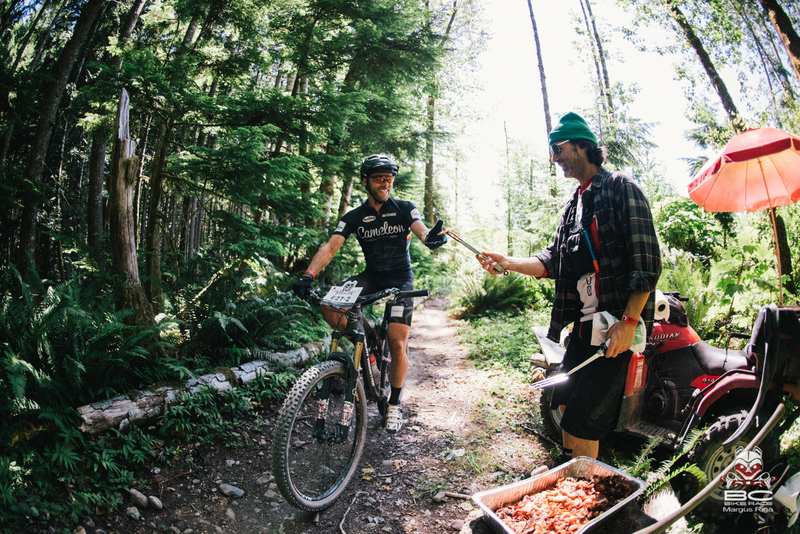 There was much fist bumping to be had on the way up the fireroads for the next mind-blowing singletrack. As always, Squamish residents were out in force, cheering racers on as they climbed to the day's first trailhead though Garibaldi Highlands, as well as making the hike to the day's midpoint water stop, with coolers of cold beverages, and the apparatus for the bacon hand-ups the stage is famous for. Noisemakers of choice were squeaky toys that go "Squ'ish" as well as the customary cowbell. At one point on course, we even high-fived a whole pack of mini-shredders lined up on the trail. Future BC Bike Racers? As if an awesome day on the penultimate stage of the BC Bike Race wasn't enough to celebrate, Rocky Mountain Factory Team's "ALN" (Andreane Lanthier Nadeau) was also having her 22nd birthday. We caught up with her–one of 88 women competing in the event out of a total 637–to see how her week has gone. "I freaked out on Day 1–in Cumberland, I was dying in the heat," she said. "After the first climb, I didn't think I could do this for a week, but I took a deep breath, turned it around and then it seemed like it paid off to be conservative, because every day I kept going stronger and stronger until North Van where I really had a good day." On Day 5, ALN had her best finish of the week so far, putting her on the podium in third. In the overall, she has the fourth place spot all locked up, assuming there are no surprises in Whistler. "Some people might wonder if I'm unhappy I'm not on the podium, but the girls that are up front are killing it–they're really good, so I'm happy with my placing," she said. 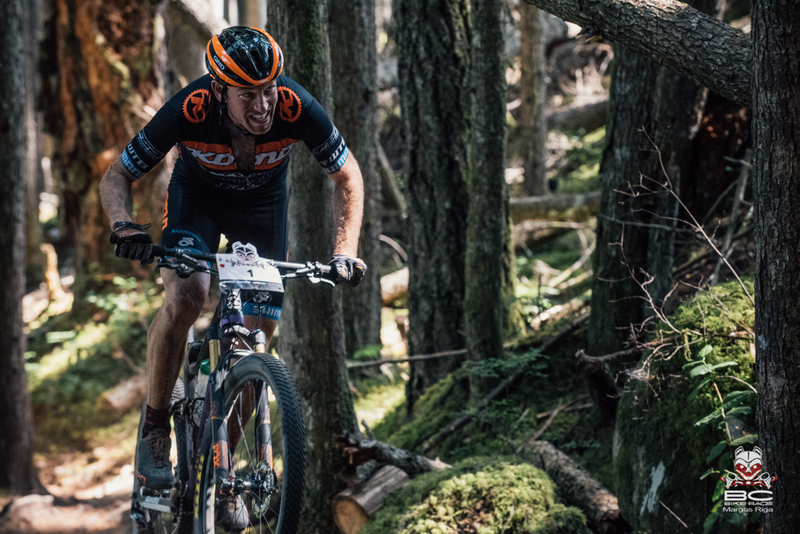 The BC Bike Race is an important week in ALN's season, timed perfectly to coincide with a large training block before the Canadian National Championships two weeks after the BCBR finish. "In preparation for a race like Nationals where you really want to perform, you do a training block–a week that's really hard," she explained. "So basically I'm using BC Bike Race for that." Though she's here on racer business, ALN is having a great time while she's at it. "I love it," she said. "Bacon handouts today kind of saved my life, I was so hungry. 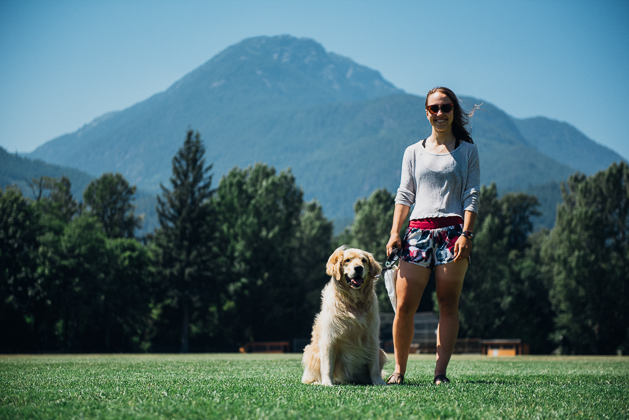 I loved Powell River–that was my first time there. I also love our team. The boys are really nice, they're really helpful with advice and the mechanics are hard at work and my bike is A-1 every day. 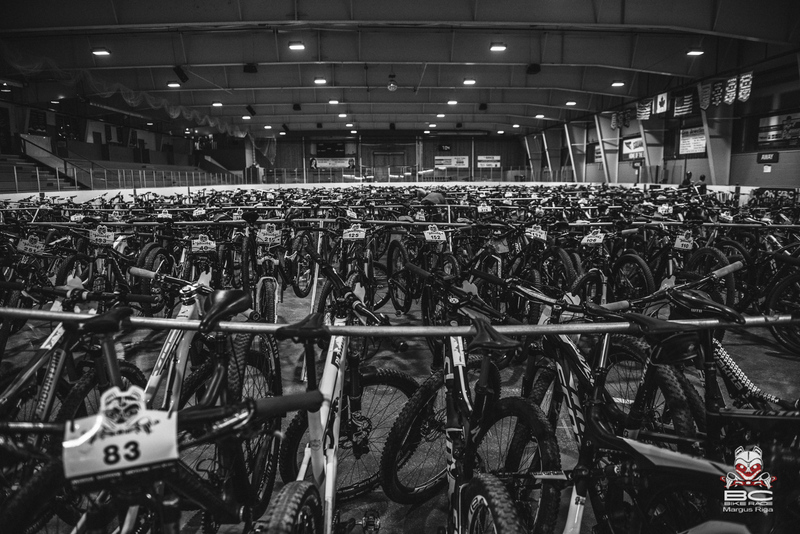 ALN is racing aboard Rocky Mountain's 2015 Element with full XTR. "It's my first year that I have a dually actually," she said. "I've been on a hardtail forever, but I couldn't do it without the full suspension. Kudos to everyone riding a hardtail out there." A three-year veteran of the event, the legendary freerider and mountain bike personality, Brett Tippie, has made his mark in a short time. 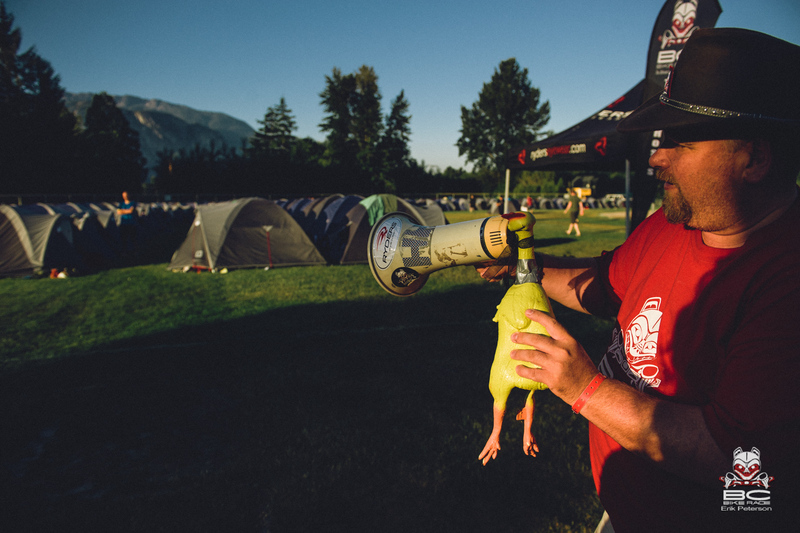 It wouldn't be the BC Bike Race without him–he literally seems to be everywhere throughout the week. One minute he's cheering you on down a gnarly downhill, and the next he's hanging out the window of a truck, encouraging your grind up the climb. Then he's on the ferry deck, interviewing racers for the daily video recaps, and later you can find him stoking out the mechanics as they begin their late night travails. "I don't sleep very much," he said. "If I could clone myself, I'd be so happy I'd be beside myself." He's the unofficial mascot of the BC Bike Race, but his real title is "Course Animator." "This year my role has changed into doing a little more interviews, and getting testimonials from people," he said. "Everyone is psyched so that's easy." When we asked him about why he wears his signature space suit, his response was, "Because I'm out of this world!" Tippie joined the race on the suggestion of his wife. He has embraced his role of "super-powered cheerleader" with so much genuine spirit that his appearance at the crest of a hill, or chumming around with the local sasquatches (the Ryders Eyewear crew can occasionally be spotted just off course in their furry best), or as you begin a technical enduro section can get you out of your head and back to smiling. "I love bonding with people through their pain and suffering," he said. "I'm a rider so I know those spots where they're amped, or need a little love, or want a high-five. There are too many great stories to list, but the best one is the next one." While the rest of the race and crew wilts under this relentless heat wave, Tippie looks at the bigger picture. 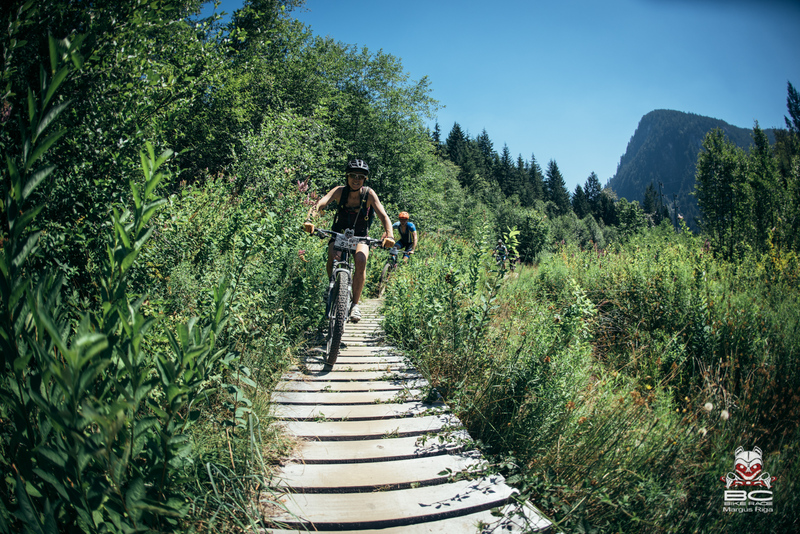 "With BC Bike Race, I've never seen so many days in a row that were this hot. It was Africa hot out here. I don't think Tarzan could take this kind of hot," he said. "But I tree-planted for years here in the woods of BC and I'll take heat, I'll take rain–anything over bugs." For the heat, Tippie advises a light helmet and jersey can make a ton of difference. His other advice? Pace yourself. "Take pennies out of the bank," he said. "Slow little withdrawals." He also reminds us to stay off the front brake in the steeps, look ahead, and be courteous to other riders, especially when passing or being passed. 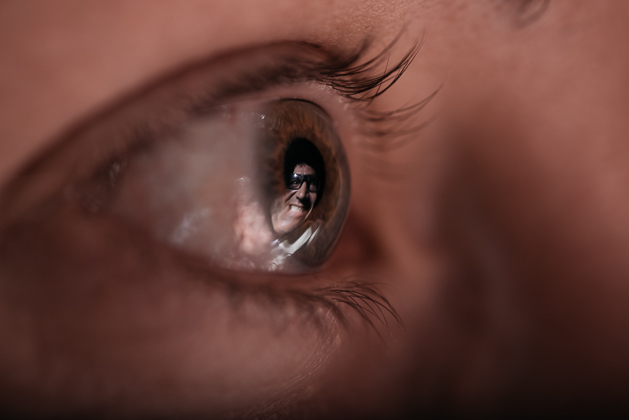 "When no one's watching, I'm watching, and people were really cool to each other, and I thought that was great–just really cool camaraderie and spirit that was happening out there." The long-awaited Day Seven will be short and sweet. Racers arrive in Whistler in time for a 9 a.m. start departing from the Whistler Olympic Plaza. Emotions will be running high, but it isn't over until you cross the line with your hands in the air. The course runs only 21km, but includes 856m of climbing so racers are warned not to underestimate this "victory lap."